Home » Health » How Can Apple Make Health Records More Accessible? In recent months, Apple, the major tech company, has announced it’s entering into the healthcare world. What would they provide? Promises of easier access to medical records for partnering healthcare networks patients which is a big deal. Only a few months later, Apple announced that they have 40 health systems to be the first testers of the healthcare tactics. 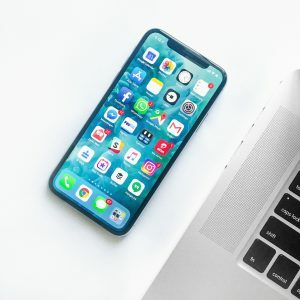 In a recent interview, Apple Chief Operating Officer Jeff Williams says, “We view the future as consumers owning their own health data.” With Apple contributions to the healthcare system, what can we expect from Apple in the future of healthcare? Check out this quick article here if you haven’t heard of Apple’s decision to enter the healthcare scene. In recent years, it has become apparent that accessing health records is troublesome. The process of accessing your health data is expensive and can be time-consuming. It’s especially a problem because different doctors can hold different parts of your health data. Hospitals currently still charge fees for medical records. Moreover, if time is essential, you may not be able to get your medical records in a timely manner. In the last few years, the demand for customers to see their health records has skyrocketed, as more health records have been going to online access spaces. Apple is coming in at the perfect time, making it easier for people to access their own medical data. With easier access, patients will be able to make better decisions when choosing a PCP or changing hospitals based on what they need. With few major risks of patients accessing their medical records, many health systems have jumped on board, such as NYU Langone Health and Stanford Medicine. For a full list of those participating in the Apple health records program beta, click here. The feature is available in the user’s health app, providing data from their EHR. The app will use a feature called Fast Healthcare Interoperability Resources. This key component allows users to see their allergies, medications, conditions, and immunizations, as well as the sort of things they might check an EHR patient portal for. With such a large network of health systems willing to work with Apple to correct this never-ending problem, Apple could be the company to fix it all. Only time can tell, but stay tuned for more updates on how we could be accessing our health records in the near future. ← What Does the $1.3 Trillion in the Latest Spending Bill Fund?